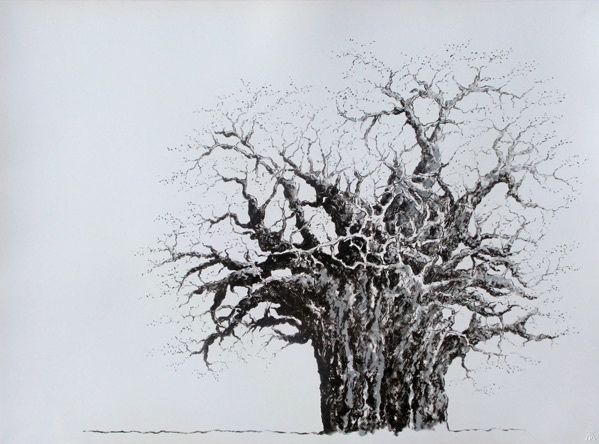 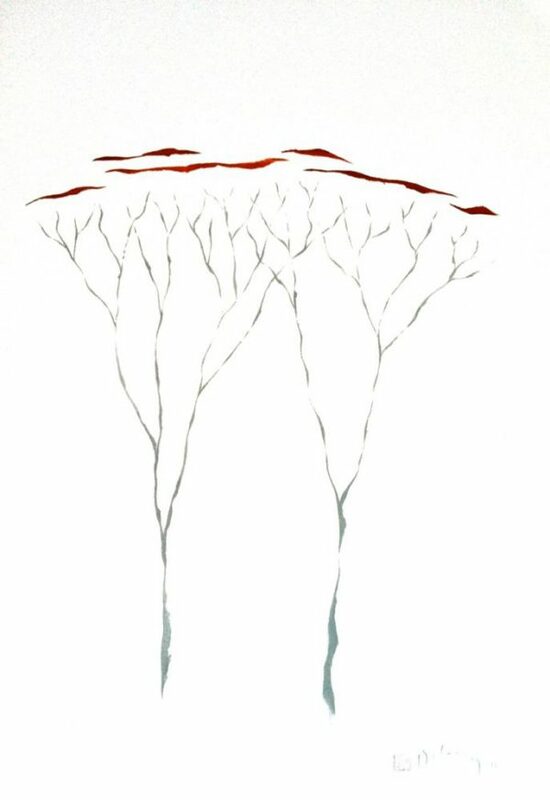 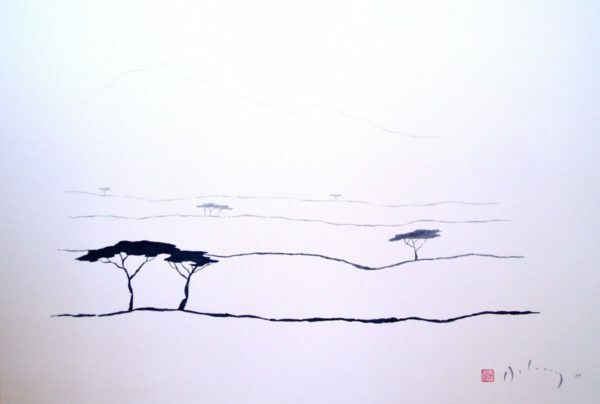 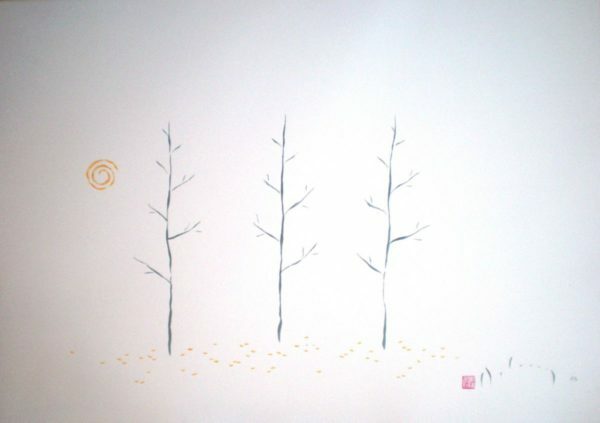 The artist has drawn mostly on large African trees – acacia, leadwood and baobab feature prominently – using Japanese line drawing techniques to convey their size and presence and explore the relationships humans have with their natural environment. 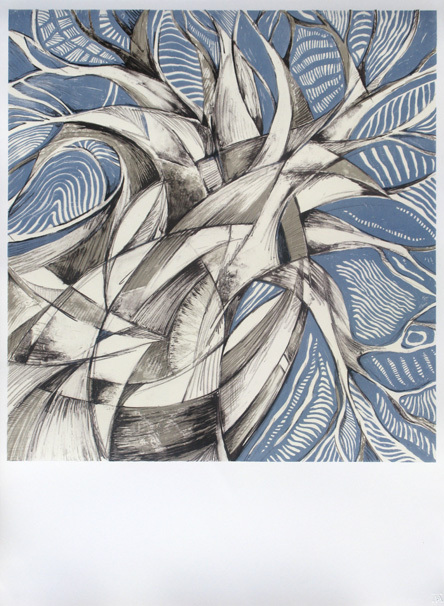 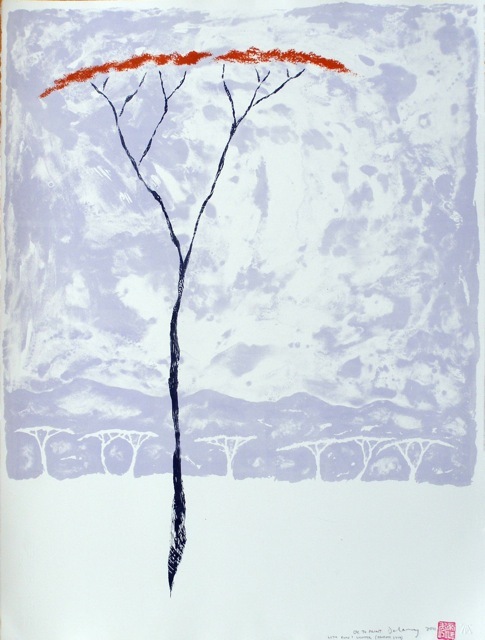 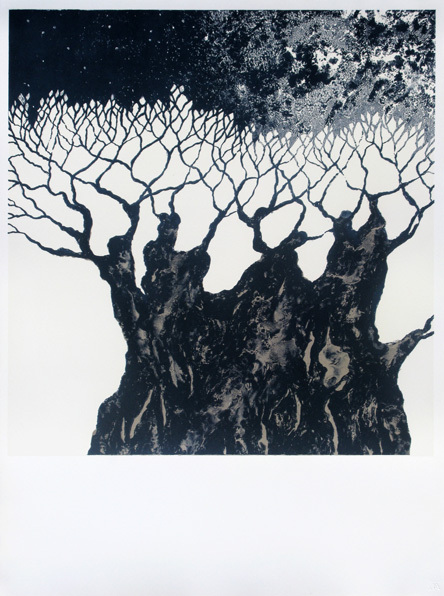 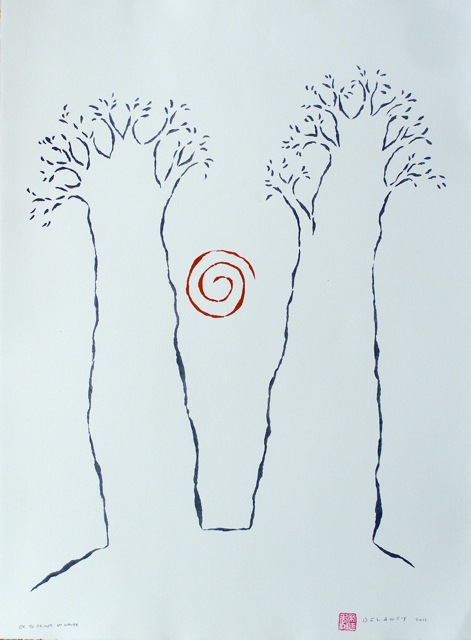 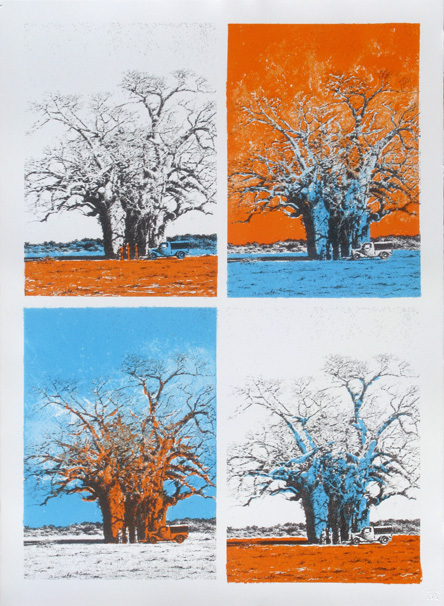 Two series of African trees were editioned in collaboration with Mark Atwood and Leshoka LeGate at The Artists’ Press in White River, in editions of 20. 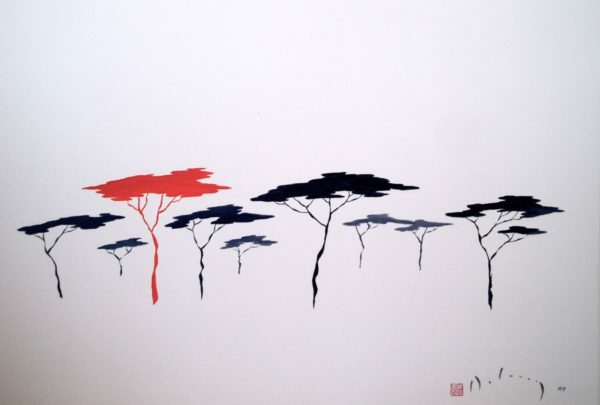 The other works use oil paint applied to Fabriano paper, the brush or stick moving and rotating constantly so that each line carries energy.